Sixth Tacoma Homicide of 2015: Sayvon Jordan Jr. Early Saturday morning 15-month-old Sayvon Jordan Jr. was brought into Tacoma General Hospital by a his mother and a man. The man told hospital staff that the Sayvon had choked on a rock and he’d given the toddler the Heimlich maneuver. He claimed he’d possibly done it ‘too hard’. Unfortunately Sayvon was already dead when the toddler arrived. Hospital staff soon found evidence of long-term abuse and nothing that substantiated the man’s story. The following day the Medical Examiner ruled that his death was a homicide, the result of blunt force trauma to the abdomen. 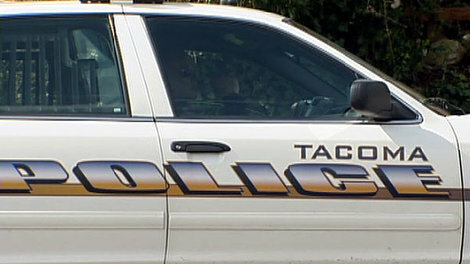 This is the sixth Tacoma homicide this year and the seventh Tacoma homicide since 2011 involving a child under three years of age. Typically when I write about homicides I try to do as much research as I can on who the person was in life. When it comes to deaths like these, the person didn’t even get to find out who they were and Tacoma is less than it could be because of the loss. As is so often true with these situations, I simply don’t have a lot to write because the victim didn’t get to live long enough for there to be much to write about. Sayvon’s mother is currently pregnant. The unborn child’s father is the man now being charged with the murder of Sayvon Jordan Jr. Sayvon’s own father is currently in prison.